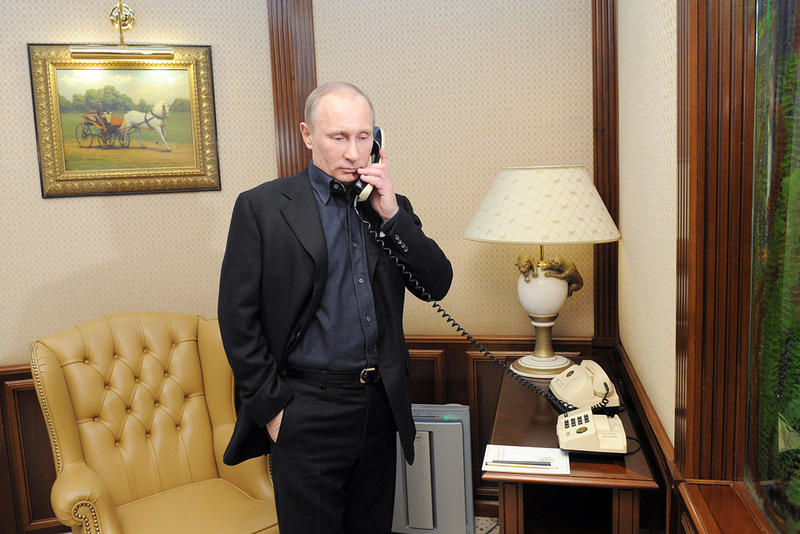 Vladimir Putin speaks by phone. In a 45-minutes phone call on Jan. 28, the Presidents of Russia and the United States, Vladimir Putin and Donald Trump, agreed to maintain regular contact and charged their teams with organizing their meeting in person, the Kremlin press service said. "Vladimir Putin and Donald Trump agreed to have the possible time and location of their personal meeting determined," the Kremlin press service said in a statement. According to the Kremlin press service, Putin, Trump have also discussed tackling terrorism, Middle East developments, Arab-Israel conflict, strategic stability. The presidents have also noted importance of restoring trade, economic ties between Russia and the U.S. and a prior importance of joint efforts in tackling terrorism, coordination of actions for fighting IS in Syria. Vladimir Putin has also congratulated Trump on official accession to presidency and wished success.